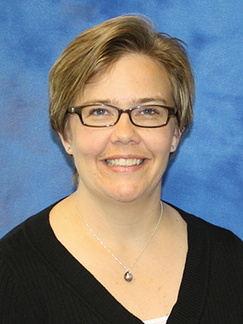 Jennifer Nelson-Albee, MSW, LICSW, grew up in Plymouth, MN. She attended Hamline University where she earned an undergraduate degree in Sociology and Women’s Studies. After completing two years as an Americorps Volunteer in Denver, CO and Trout Lake, WA, she returned to graduate school and earned a Master’s in Social Work from the University of Minnesota in 2001. She has lived and worked in Duluth since 2002 primarily providing psychotherapy to adults, children and families. In 2014 she began working part-time at the Duluth Family Medicine Residency Clinic as an Integrated Behavioral Health Specialist. She started full time at the residency as part of the faculty in 2016. Outside of work she enjoys trail running, traveling with her family, and spending time with friends.